The clocks have gone back and it’s early dark, but rather than going into hibernation I seem to be nicely busy. And it’s a collage of a post this week – a book review, a round-up of how my writing’s going and a general witter on my life as a busy old bat. First, the book review. It’s been a while since I read a proper page-turner of a novel – a book that keeps me from getting to sleep at a sensible hour. 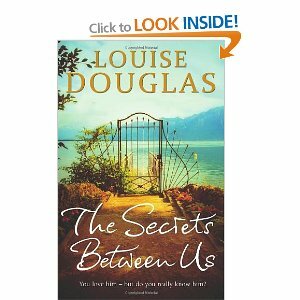 So it was lovely to discover Louise Douglas’s ‘The Secrets Between Us’. Having previously read and greatly enjoyed two other novels by this author – ‘The Love of my Life’ and ‘Missing You’, I was hoping for an equally enjoyable experience this time. I wasn’t disappointed. With its shades of Du Maurier’s ‘Rebecca’ this contemporary, romantic, thriller is gripping right from the start. Even although I worked out whodunnit quite a while before the end, I was still in suspense to see how it all played out. My only gripe – and it’s a small one was that the ending was a little rushed and underplayed. But I do recommend the book to fans of Du Maurier and Douglas. As for my own writing, I seem to have got my mojo back. The creative flow has been a bit interrupted – and even blocked – of late, with both work and family stuff having to take priority. But I resolved during my half-term holiday from school to get back to the desk. Or, rather, to set up a new desk. Family circumstances have meant that my little granddaughter currently has my study as a bedroom. So, I bought a laptop with a nice big screen, a set of good earphones in order to listen to music while I work and block out the noise of the TV, and I’ve set up my office on the dining-room table. And so far so good. 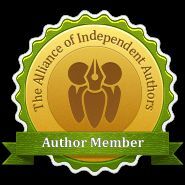 I’ve entered my children’s novel in the ‘Myslexia’ magazine children’s book competition. I’ve entered a reworking of the Hansel and Gretel tale in the competition being run jointly by the National Library of Scotland, Scottish Ballet and the Scotsman newspaper. I’ve written my contribution to the December issue of writing magazine, ‘Words with Jam’. But the thing I’m most chuffed about is getting back to my partly written, second ‘grown-up’ novel. Yesterday evening, I began re-reading the 80,000 words I’ve written so far. I haven’t looked at it for a few months and I was pleasantly surprised (she says modestly). It was great to be back with the characters and get re-involved in their lives. Now I’m really looking forward to spending my evenings in the company of these people and completing the telling of their story. I’ve also put three more competitions into my writing diary for early in the new year. And it won’t be long before 2013 is here. I know everyone of my age finds that time whizzes past, but I suspect that living by the termly rhythm of the school year, makes the passage of time go even faster. At school we’ve just had the excitement of Halloween and bonfire night and this Friday will see staff and pupils all wearing red in honour of armistice day. Then it’s our mega fundraising day for ‘Children in Need’ with lots of Pudsey related activities – before we career towards the Christmas concert, parties and Santa’s arrival. Autumn is well and truly ensconced on Skye – and winter has already run some preview trailers. The crunch and smell of fallen leaves, the woodsmoke and the early morning mists have been trumped by icy roads and pavements. Even the fireworks display had to compete with a heavy snowfall on Saturday evening to win the wow-factor contest. Wishing you lots of luck with this submissions! It’s great to hear how positive you’re feeling about your novel as well. I thinking leaving it for a while is the thing to do. I like autumn. The colours are beautiful, but now as the temperatures drop and everything is getting darker, I’m not as impressed! What a busy time you’ve had. I’m glad your back at your novel again and getting stuck in. Your book review sounds good I haven’t read the author before. Good luck with the competitions I have entered my first one with a children’s story. Sometimes the long dark nights are nice and relaxful but only if you don’t have to go anywhere. Thanks, Anne and all the best with your competition entry.